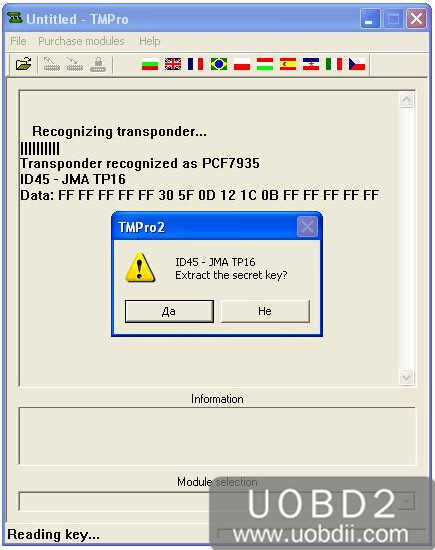 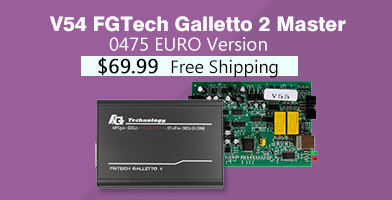 This article show the procedures of how to use TMPro2 to copy VAG ID44 PCF7935. 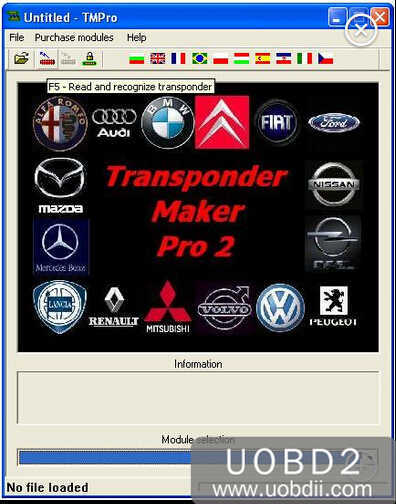 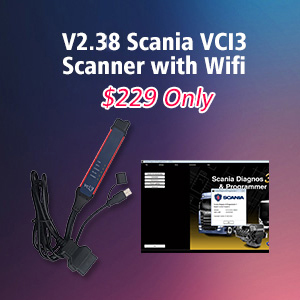 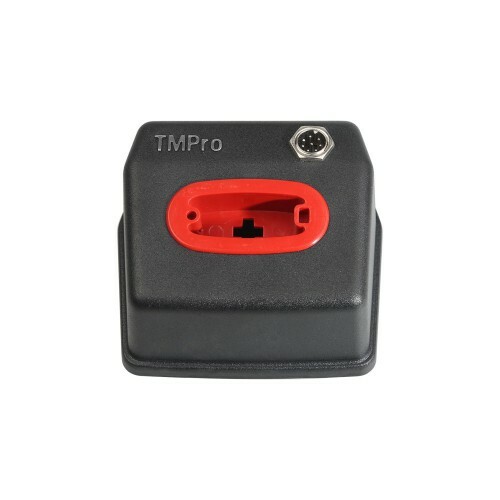 You need to connect TMPro2 to laptop and run the software. 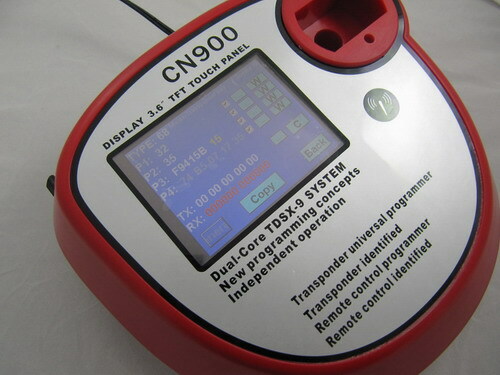 Insert key in hole and press Read and recognise transponder button. 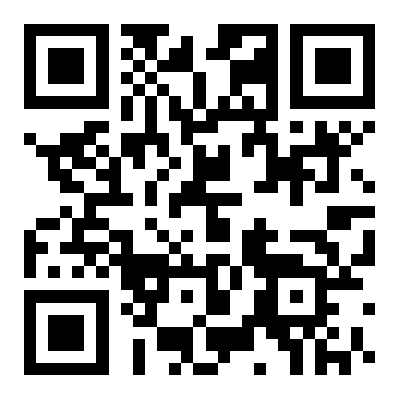 You can also use F5 button for to do this. 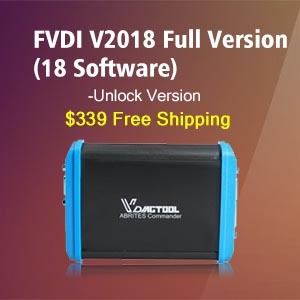 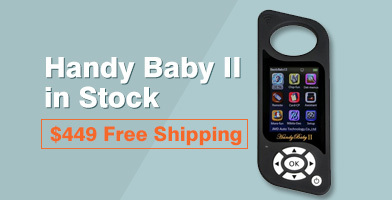 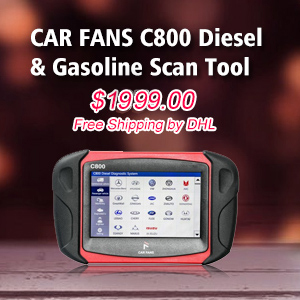 After then you will get the key information on the screen,include:chip type,chip data and chip page…if particular page is locked or not, etc. 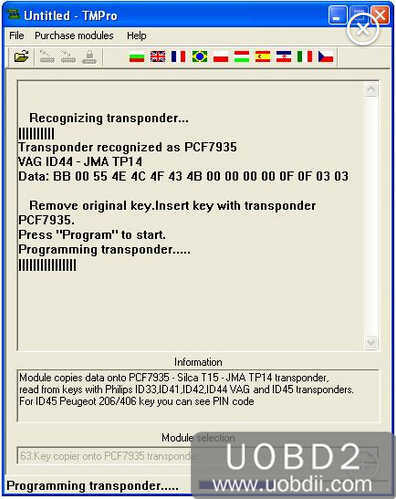 If key is capable to be copied, software automatically goes to relative software module (62,63,64,65,145,185,187). 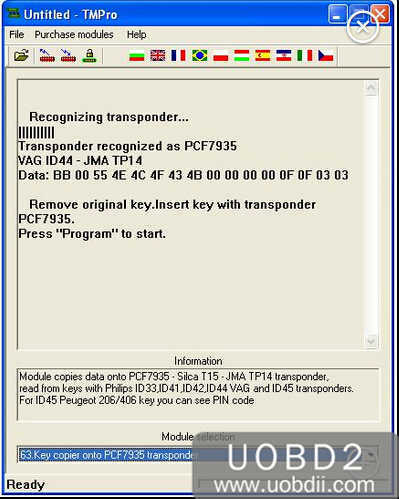 Software also shows type of transponder, that must be used for copying of your key.If key is not capable for copying, in left down corner you will see message ‘No data for copying’. 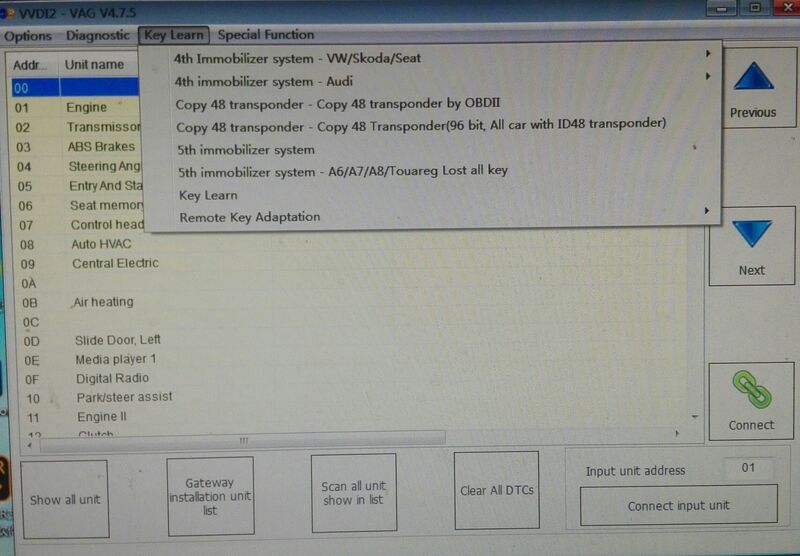 Note:for copying ID45 keys Peugeot 206/406:For copying Peugeot 206/406 ID45 keys software asks you if to start to extract of secret key or not. 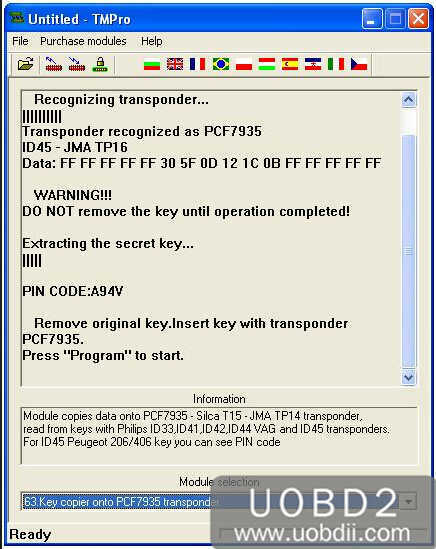 Prior to copy the key, you have to continue with Yes.During extracting of secret key you MUST NOT remove original key from device until extracting completed. 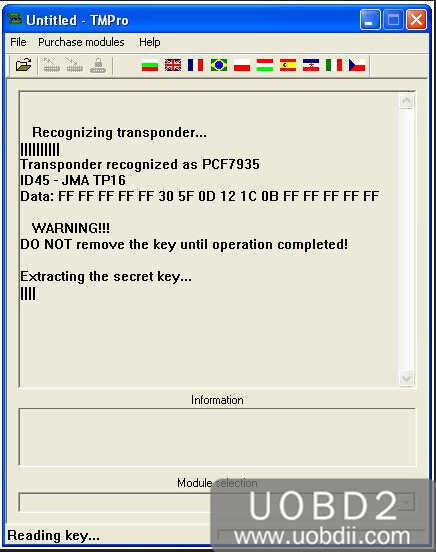 Extracting time for ID45 keys can last maximium 10 seconds. 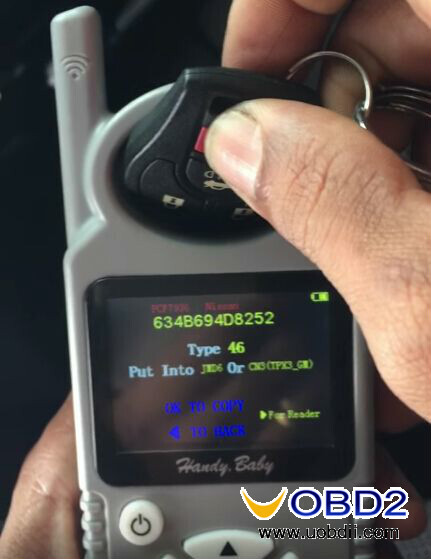 At end of procedure you can see vehicle PIN code, if you need to program keys by diagnostic device. 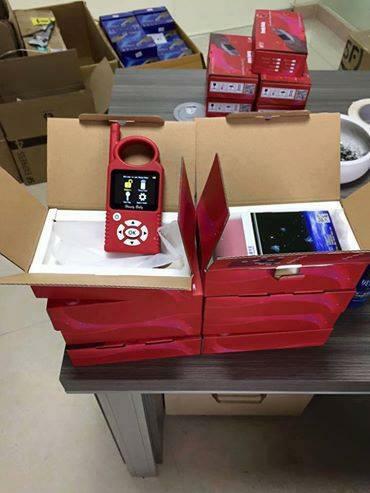 Note:If you want to copy ID4D Texas crypto keys and ID46 Philips Crypto 2 keys,you need to buy extra cloner unit.